Mariana Smith works with printmaking, miniature painting, and video installation to address the narratives of immigrant dislocations. 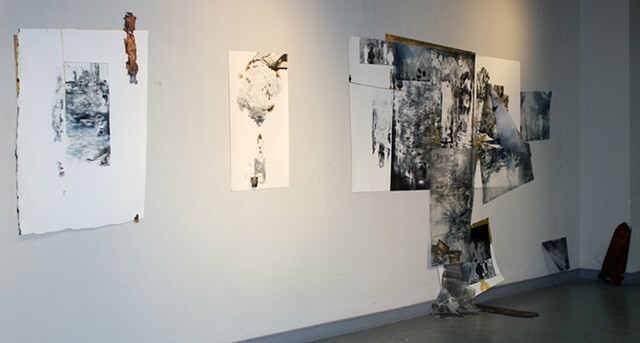 Currently, she is collaborating with the multimedia artists and scholars from the USA, Armenia, Germany, and Greece on a project titled “Metamorphosis - The Human Stories.” It is a series of international exhibitions and lectures connecting contemporary art and the global migrant and refugee crisis. This project will expand in 2019-2020 as “Borderlines and Liminal Spaces”—a series of interdisciplinary events centered around the theme of Borders and how the presence of borderlines influences art, social sciences, journalism, literature, history and immigration studies. Mariana Smith received a BFA in fine art and miniature painting from Moscow College of Applied and Industrial Arts in Moscow, Russia. After immigrating to the USA in 1992, she received a 2002 BFA with an emphasis in printmaking from the Columbus College of Art and Design in Columbus OH, and a 2004 MFA from the Cornell University in Ithaca, NY. Smith’s work has been exhibited in USA, Italy, China, Ireland, New Zealand, Guam and Armenia, and was displayed at the State of Ohio Governor’s Mansion in Columbus, Ohio. Artist residencies include International printmaking workshop in Auckland, New Zealand; Scuola Internazionale di Grafica di Venezia, Venice, Italy, residency; International Printmaking Workshop, Xi'an, China; GCAC Dresden Residency, Dresden, Germany; Venice Printmaking Studio, Venice, Italy; Vermont Studio Center; Moscow College of Applied and Industrial Arts, and Fedoskino Lacquer Miniature Factory, in Russia. Mariana Smith works as an Assistant Professor at the Stockton University, NJ.